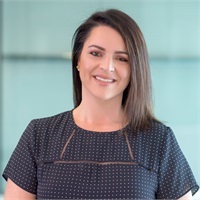 Lindsey Dibello, Administrative Assistant for Royal Alliance Associates, Inc.
She has worked for Keith D. Huff for 7 years, in his financial planning firm, Lakeshore Wealth Advisors, LLC and his accounting firm, Keith D. Huff, CPA, PLLC. She has one daughter, a dog, and a cat. She enjoys spending time with family and friends. Her hobbies include makeup artistry and cooking.